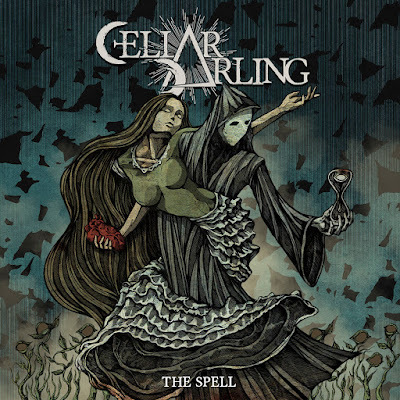 Along with this big news, CELLAR DARLING unveiled the title track of the album. "As some of you have discovered already, over the past 13 days we have revealed the tracklist of our new album, along with amazing artwork created by Costin Chioreanu, who is also behind all of the beautiful animated videos for the new songs. The 13 tracks of 'The Spell' invite you to witness the journey of a girl who falls in love with Death. In the song released today, a spell has been cast on our protagonist — for now, her love shall go unfulfilled…"